Hey, WWE fans! 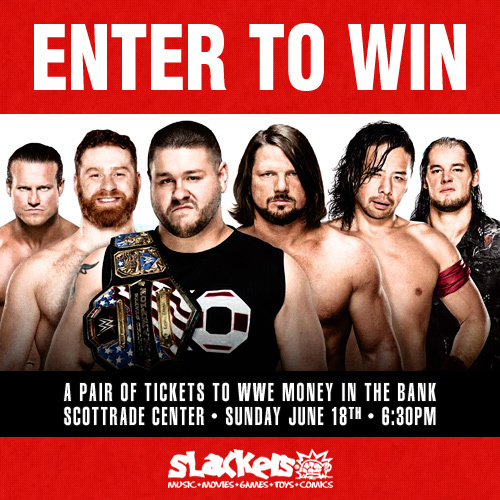 Visit your local Slackers this week to enter our drawing for a pair of tickets to WWE Money in the Bank (6:30 PM June 18th at Scottrade Center)! The drawing will end on Friday, so be sure to use the form below or swing by and enter before then!